Simon Mayo is leaving BBC Radio 2, and the Drivetime show he hosts with Jo Whiley will come to an end. The DJ had hosted the 5-7pm slot on the station since 2010, but was joined by Whiley for an extended 5-8pm edition in a shake-up to the schedule earlier this year. The move was met with criticism from listeners, and Radio 2 was forced to issue a response following the backlash, asking fans to let the show “settle” and to “give it a chance”. Mayo said he is “sad to leave the show, sad to leave Jo, sad to leave Wogan house” in a series of messages on Twitter, adding that he thought he would be “dragged out aged 120” from the building, the home of Radio 2. “Juggling my writing and radio has become increasingly tricky (a nice problem to have). I’ve just signed a new 2 book deal with the nice folk at Transworld and they’ll be expecting something half decent before too long. “On top of that my Itch books are about to be filmed for television in Australia and the work turning Mad Blood Stirring into a movie continues apace. Mayo, 60, said he will remain at the BBC for the 5 Live Film review he co-hosts with Mark Kermode, but that “other radio adventures beckon”. “But for now it’s just the sadness of leaving. Radio 2 has been a wonderful place for me - my happiest radio, I think. Our listeners are really quite extraordinary,” he added. Addressing reports of a rift between himself and Whiley, he said: “One other thing. Maybe it needs to be said, maybe not but so there is no room for argument I’ll be clear. “I’ve loved working with the exceptional Jo Whiley and when the show was ‘reconfigured’ she was my first and only choice. “Some of the abuse she has had here has been appalling. Support for a show is one thing, assaulting the dignity of a warm-hearted and loyal friend is another. Mayo and Whiley’s Drivetime show has no end date as yet, the BBC said. The broadcaster said further details of the early evening Radio 2 schedule will be announced in the near future. 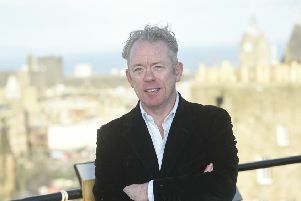 Prior to his Drivetime show, Mayo hosted the Radio 2 Album Chart Show from 2001 until 2007, as well as presenting 5 Live’s afternoon show between 2001 and 2009. Whiley started her Radio 2 career in 2009 covering for various presenters, and hosted the In Concert series from 2010, before launching her own evening show in 2011. She will launch a new show in January in the 7-9pm slot on Mondays to Thursdays, while continuing her In Concert series and filling in for Ken Bruce whenever he is away in 2019.